The elevator controller is installed next to the tractor and is the electrical device and signal control center of the elevator. Early control cabinets include contactor, relays, capacitors, resistors, signal relays, power transformers and rectifiers. The current control controller is generally composed of PLC and frequency converter, but some elevators are controlled by computer board. PLC is actually a computer, mainly used for industrial field control. In some special circumstances, PLC is more stable than computer. 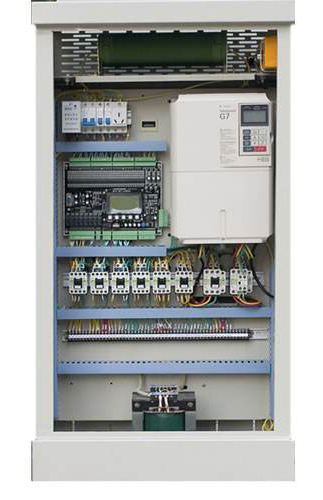 The modern elevator grade is mainly depended on the advanced nature of the control cabinet. It reflects the size of elevator function, the reliability level and the advanced degree of intelligence level. Modern elevator level class are mainly depends on the advanced nature of the controller , reflected in the size of the elevator function, high reliability and advanced degree, intelligent controller is the heart of the elevator. Posted in Technology and tagged controller, elevator, elevator controller, Elevator heart part, Elevator part, PLC.